Originally published in Norwegian in 1920 and set in fourteenth-century Norway, The Wreath chronicles the courtship of a headstrong and passionate young woman and a dangerously charming and impetuous man. Undset re-creates the historical backdrop in vivid detail, immersing readers in the day-to-day life, social conventions, and political undercurrents of the period. Her prose combines the sounds and style of Nordic ballads, European courtly poetry, and religious literature. 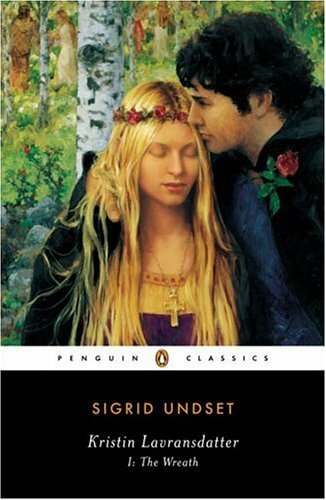 But the story Undset tells is a modern one; it mirrors post-World War I political and religious anxieties, and introduces a heroine who has long captivated contemporary readers. Defying her parents and stubbornly pursuing her own happiness, Kristin emerges as a woman who not only loves with power and passion but intrepidly confronts her sexuality.